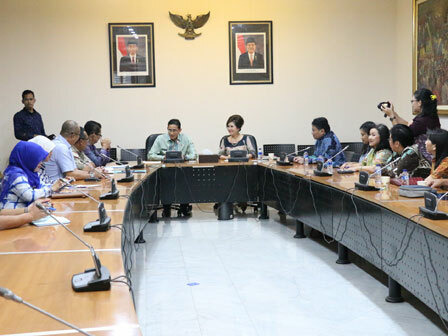 Jakarta Vice Governor, Sandiaga Uno wants Festival Jakarta Great Sale (FJGS) 2018 to be held together with Asian Games XVIII.
" This year, we will change its time"
He said, FJGS is held from June to July but this year he wants it to enliven international sport event, Asian Games. "FJGS is usually held to enliven Jakarta anniversary. This year, we will change its time," he expressed, Friday (2/2). Last year, FJGS transaction value reached Rp 16 trillion. He hopes in 2018, its transaction value could increase because many athletes, officials, and Asian Games participating countries supporters will visit Jakarta. "We want to boost our economy and create job opportunities. Our wish is to make Jakarta as Retail Epicentrum of Asia," he stated.